Get Sprenger Prong Collar Extra Links|Optimize your costs! Shopping and saving money are two incompatible concepts for you? - Not on our site. We offer you to save money with Herm Sprenger. 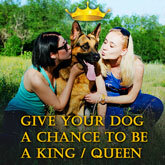 This company introduced ultimate decision for dog owners who are fond of pinch collars. There is no necessity to buy new collar for your dog. 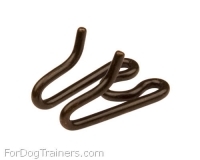 The only thing you need to do, when your dog grows or gains weight, is to buy extra links for the collar it wears. These Extra Links are for Herm Sprenger Antique Copper Pinch Collar for 1/9 inch (3.00 mm) Diameter. They snap in easily for extra length! You won't need any tools or skills to perform this action. One link will add 1 2/5 inch (3.5cm) to the total length of the collar. These extra links are for this Dog Pinch Collar Steel- Antique Copper Plated. Extra links for antique copper pinch collar - 50115(13) 1/9 inch (3.00 mm). Goodmorning Alice... Yes the order has arrived...Thankyou very much for following it up so promptly and I will be placing another order with You A.S.A.P. Regards.